Are you a Human Resource Manager or Employer needing to refer an employee for an anger management evaluation or for individual anger management sessions? We offer professional services for employers and corporations seeking anger management training, programs for individual employees, managers, physicians or executives needing to learn anger control: enhanced communication, empathy, conflict resolution, problem-solving, team-work and relationship building skills. Are you looking for individual Anger Management Services for someone in your organization? Maybe you are dealing with someone at your office or work who can’t handle their anger and any conflict with co-workers or employees. Supervisors, employees, managers and executives often need to improve the way they handle anger, stress and conflict at work. We offer personalized and group training, evaluations, coaching and self-study courses as described below. We offer a positive approach to managing anger and conflict geared towards enhancement of relationships and the work environment. Read more about the Anger Management Institute consulting, coaching, training and mediation services. 1. Classes, Workshops, Presentations: If your business or corporation is located in the Chicagoland area – we offer classes, workshops or seminars on site or at our offices (Oak Brook or Cary, IL). Half-day or 2 hour workshops and seminars can be offered at your location for management teams or as an in-service for all employees. Read the Presentation Proposal and Learning Objectives. The classes and groups are offered for 3 hours once or twice monthly in our offices or upon your request – at your location. We require a minimum number of 12 participants for classes. Contact Lynette Hoy for more information on all courses and services: 708.341.5438. 2. Anger Management Evaluation/assessment: This service can be ordered for an employee, manager or executive. We are providers of official anger management evaluations and recommendations. A phone evaluation will be scheduled once the fee is paid. 3. Personal anger management coaching sessions with one of our certified anger management specialists/professionals. Anger management coaching assesses issues and needs and incorporates Emotional Intelligence areas of development: Self-awareness, Self-management and motivation, Social Awareness and Relationship management. Order the Anger Management Coaching Assessment/session or begin one month of these services here: Anger Management Coaching. These services are offered in our offices – Oak Brook or Cary, Illinois or by phone. The coaching includes an assessment and individualized training in identifying and preventing anger triggers, learning anger and stress management skills, replacing inappropriate and unacceptable (rudeness, hostility, yelling, outbursts, put-downs, insults, etc.) behavior with assertiveness, conflict management and empathy skills. What are the benefits of Anger Management coaching? increased understanding and confidence about life, roles and relationships! Anger Management coaching seeks to produce results, new life-skills, self-confidence and positive ways of perceiving the world and developing relationships at work, in the community and at home. We offer phone, office and internet evaluations by certified anger management professionals and specialists approved by the National Anger Management Association. Contact Lynette Hoy, President of the Anger Management Institute at: 708.341.5438 or 630.368.1880 for any inquiries or ordering needs. Once you or your employee order and pay for the evaluation through our shopping mall – you will be contacted by one of our certified anger management professionals for an interview and sent the assessment forms to complete. An evaluation will be mailed to you and at your request and written approval – to the official or agency requesting it. How does an anger management evaluation work? Once this service is ordered — assessments and inventories will be mailed/emailed to the individual and an office or phone visit will be scheduled. The sessions cover anger management strategies for healthy personal and relational growth! This program helps people discover the process of anger, when it is harmful and helpful and how to direct anger into assertiveness, problem-solving, conflict resolution, empathy and forgiveness. 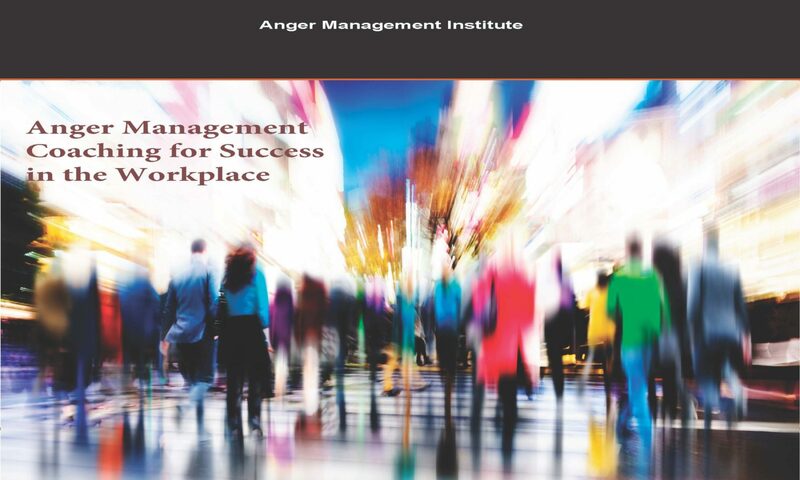 This program develops and emphasizes effective and practical skills for managing anger. The authors present proven, research-based approaches for managing anger through: identification of triggers, stress management, relaxation skills, communication skills, conflict management, empathy, forgiveness and challenging false beliefs and thinking. Goals: To reduce levels of anger in provocative situations. To learn effective coping behaviors in order to halt escalation and to resolve conflicts.